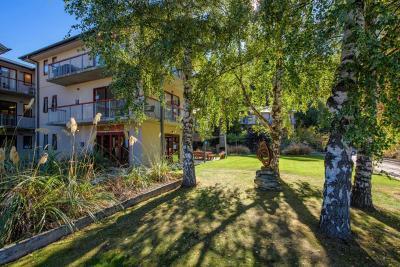 Lock in a great price for Shotover Lodge – rated 8.1 by recent guests! Great value 4 money! Reasonable location not too far from town. Lovely grounds. Great value, clean rooms and amazing staff. They helped me retrieve my wallet and send it to me. The communal kitchen facilities were very good with plenty of cooking areas. 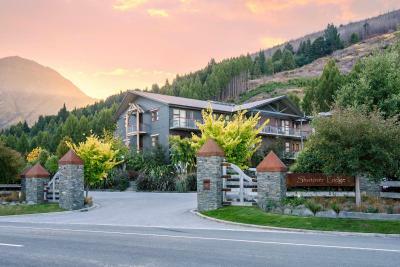 The location was outside of Queenstown but an easy 5k drive. Would stay there again. I liked that attached washroom facility. The bed was comfortable and clean. Nice hotel just outside of Frankton. Close to the airport. 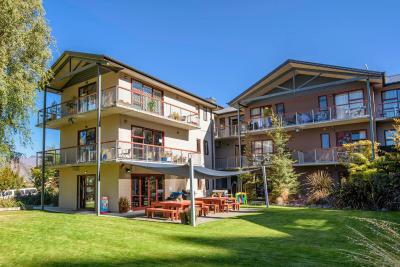 Onsite parking and rooms are good size and family friendly with small kitchenette. I emailed hotel and they set up a portacot for our 1yo. 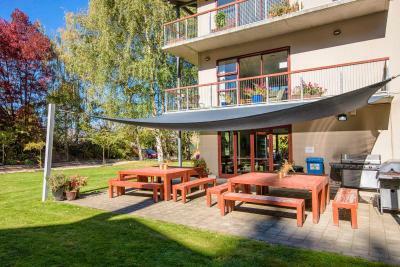 Used this accommodation in Summer. Appreciated the cleanliness everyday when we came back to our room. Shotover Lodge This rating is a reflection of how the property compares to the industry standard when it comes to price, facilities and services available. It's based on a self-evaluation by the property. Use this rating to help choose your stay! 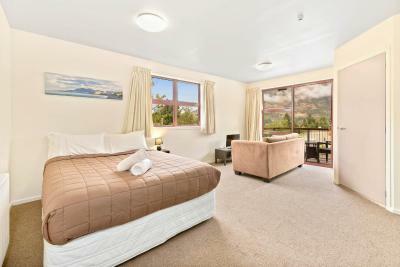 Shotover Lodge offers comfortable long or short stay acommodation in Queenstown. 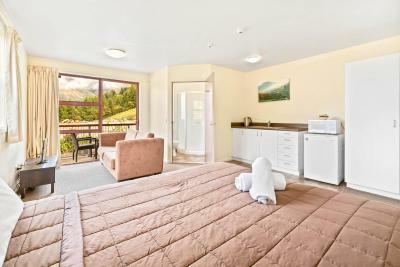 The rooms at Shotover Lodge feature a private balcony or patio. 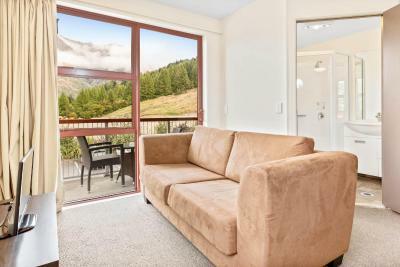 The property is just 2 minutes' drive from the Shotover Jet and 5 minutes' drive from central Queenstown. It offers a spacious guest lounge with a gas fireplace and a flat-screen TV. 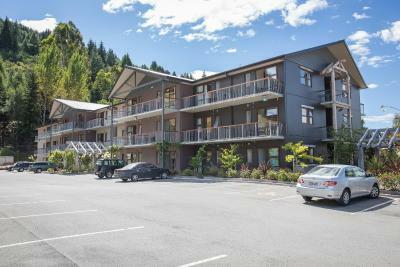 Guests at Shotover Lodge Queenstown have access to a fully equipped communal kitchen and laundry facilities. Wi-Fi is available in rooms and in public areas. 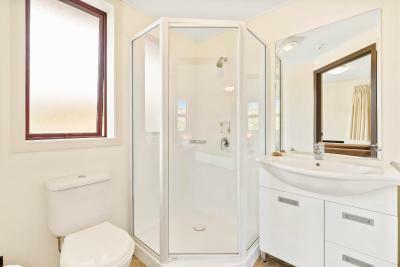 All rooms include an private bathroom with a shower and toilet. 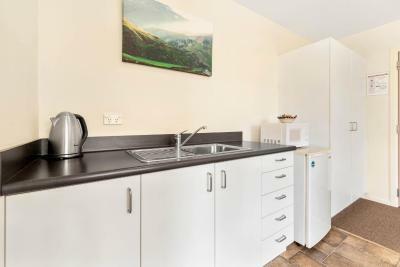 Also included is a kitchenette with microwave, refrigerator and tea/coffee making facilities. 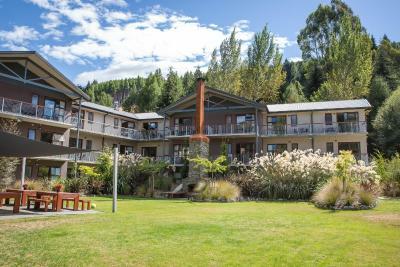 Shotover Lodge is directly opposite the Onsen Hot Pools in Arthur's Point and 10 minutes' drive from Arrowtown. 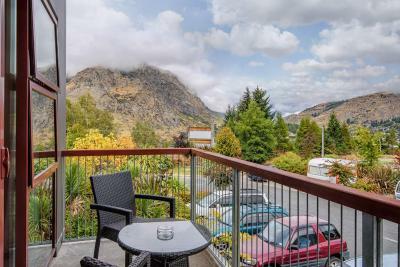 Coronet Peak is just a 12-minute drive which offers a range of ski runs, and The Remarkables ski area is a 45-minute drive away. When would you like to stay at Shotover Lodge? 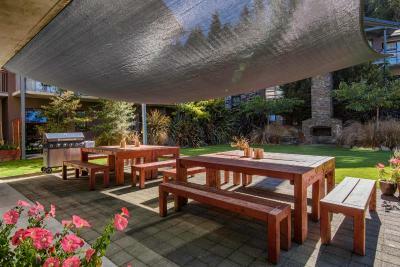 This studio offers a balcony or patio, a kitchenette, an private bathroom and a TV. House Rules Shotover Lodge takes special requests – add in the next step! One child under 2 years is charged NZD 10 per person per night in a crib. Shotover Lodge accepts these cards and reserves the right to temporarily hold an amount prior to arrival. Please note that this hotel covers 3 levels. Some rooms and facilities are only accessible via stairs and there is no access via elevator. Please inform Shotover Lodge of your expected arrival time in advance. You can use the Special Requests box when booking, or contact the property directly using the contact details in your confirmation. I rely on photos to give me an idea of what a place is like, knowing full well the photos are professionally taken, likely when the place is new, and try to mentally compensate for it. For this lodge the exterior looked up to date so assumed the rooms were too, but that is not the case. The rooms are as shown, but with a fair bit of wear and tear. The staff was friendly and accommodating, and the location is fine - on the highway but not too noisy - but the rooms are kind of shabby, clean but in need of the same update the exterior got. The bed was okay, the linens crisp and unscented, but it was overall a bit disappointing. Moderate value I'd say. A sign in the kitchen says NZ regulations don't permit stoves or hot plates in rooms anymore, so anyone counting on cooking should avoid this place. All the other places we stayed in while touring the South Island had stoves or hot plates. It's not right in Queenstown so away from the masses, the exterior looked nice and they accommodated my request for unscented linens. Had to get staff to change bedding as there was hair in the bed and the duvet had an unknown red stain. Couch was old an stained looking We got the king room, mattress was smaller then the base of the bed. Kitchen facilities were shared - not a kitchinette in the room though there was a microwave. Apparently NZ Fire Safety regulations prohibit conventional cooking facilties- gas or electrical hobs in the rooms. If you want to cook conventionally you need to use a busy, shared kitchen with well used pots and pans. Functional - provided what we needed at a reasonable price. 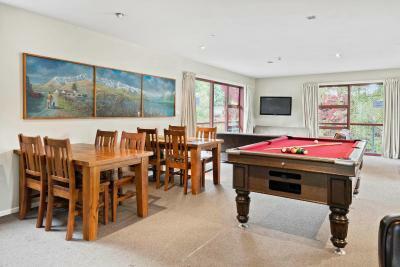 The Lodge is not primarily a Tourist venue anymore, many rooms are used as accommodation by workers in Queenstown - so it also acts as a hostel. I didn't mind this, my room and facilties were adequate and we were not disturbed by any noise. The staff were helpful and friendly. The property felt a lot older than the photos suggest. Lots of stains on walls in the hallways and carpets. Needs a refresh. I liked the studio room space. It wasn’t cramped. The bed was comfy and the bathroom was clean. I needed one night to rest up after a lot of driving and this place was ideal. We liked being just outside Queenstown and on the Arrowtown road, so Shotover Lodge really fitted the bill. Must mention and sorry we didn’t get the persons name, the receptionist was really friendly and helpful. The staff were lovely on our arrival and walked us to our room. The room was spotless and warm. The tv did not work..the bathroom door squeaked. Very annoying at night. No lift. Difficult to lug suitcases around. A glorified back packers property. The bedspread wasnt very clean, had black hairs on it. Floor was dirty stained as was the cover on the couch that was nearly falling apart, seen better days!! Couch too close to tv.